Dansk ETIKontakt Gruppe: Our Year In Music, Pictures & Video . Our Year In Music, Pictures & Video . We had a great year, tried our best to do our part in supporting "The Peoples Disclosure Movement" & share our experiences. This was the message we got from our friends, after the friendly visit on new years evening, January 1st. 2015. "Follow Your Heart And Tell". Our blog is getting close to 10.000 views, the youtubes got 5000+ views by now & the music & guides got 1000's of plays & downloads, that is really amazing - THANKS! We're looking forward to more hangout's, making new & better guides, and hoping to meet more great people in 2016. Peace & Light! Our year in pics, video & music! "YuleTide Tom Ask Senators: Naughty or Nice?" December 24th., 2014. Last 2015 GCE-5 Hangout, December 12th. New Year 2015 Star Visitor, January 1st. DisclosureGate: Cover-up surrounding UFO Disclosure Petition VII, February 6th., 2015. Alfred Lambremont Webre responds to DisclosureGate report, February 8th., 2015. Inspired by the real weirdness surrounding #DisclosureGate, and especially the nice support, in the interview above, from Alfred Labremont Webre. DisclosureGate - The Musical Hangout Special, March 8th., 2015. Mass ET Contact Event - "Global CE-5 ET Contact" March 21, 2015. GCE-5 "Usual Hangouts" Google+ OnAir April 18th., 2015. Awakening your mind, spirituality & sensations. 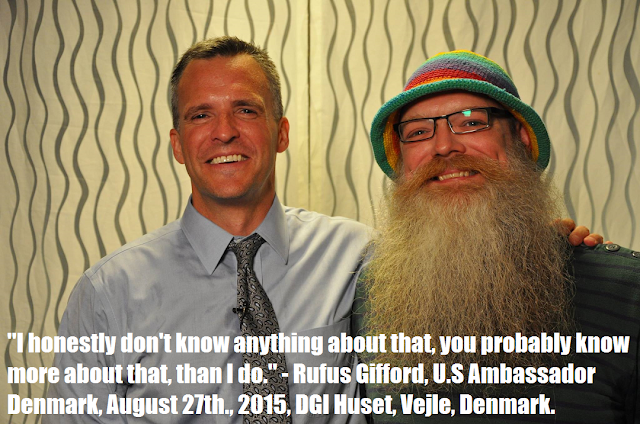 Town Hall Meeting with U.S Ambassador Rufus Gifford, August 27th., 2015. Venus? & Blood Moon Visitor in field. September 30th., 2015. "Global CE-5 ET Contact" Oct. 10, 2015. "Global CE-5 ET Contact" Nov. 14, 2015.